As a professional photographer, I get to experience some amazing… and some NOT so amazing things. An ordinary day for me is not always ordinary. Photography seems glamorous, but it is actually hard work. I do a lot of physical climbing, bending, squatting, laying down and heavy lifting. But, what some people might not realize is that every day is an adventure. I had the pleasure of photographing a beautiful 2013 Carrollton High School Senior a couple of weeks ago. 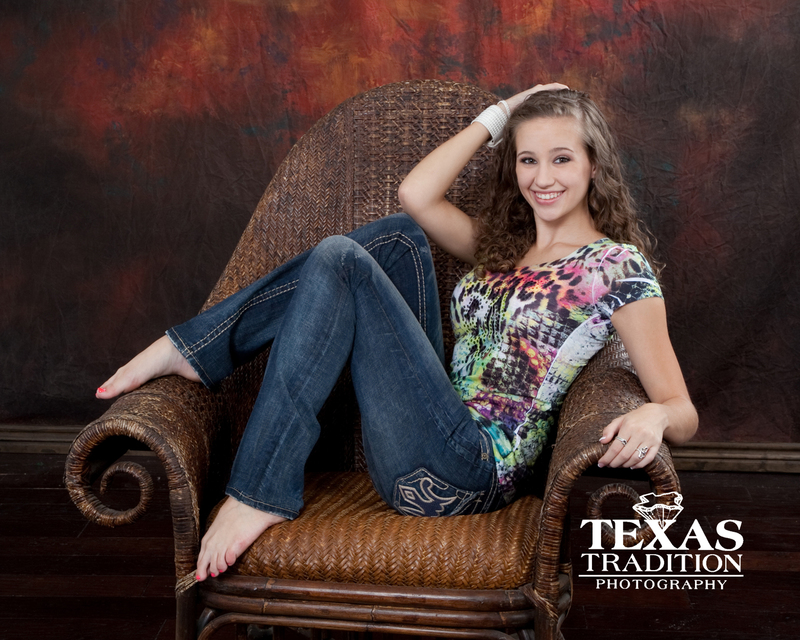 McKenzie is a very graceful, confident girl with some AMAZING clothes. Our session started out perfectly. She was on time and her hair and make up were done professionally. After about an hour of photographing in our Texas Tradition Photography studio, we headed outside for some more creative images. Now keep in mind that McKenzie has been dancing her entire life and is extremely graceful and poised. 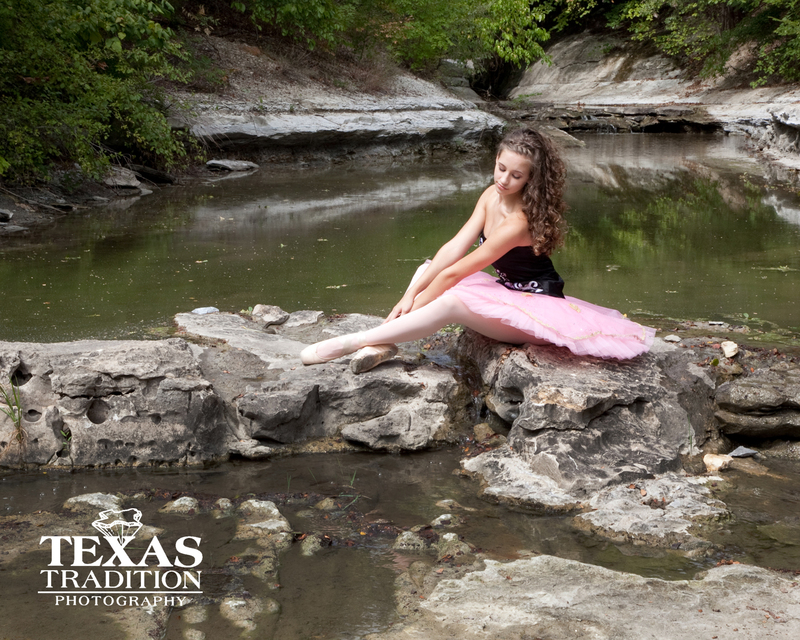 We headed out to the rocks and climbed (her in Pointe shoes and tutu) to some rocks blocking the water way. It was beautiful. I helped her get situated and gave her some guidance and then stepped back to begin our photography. She was simply amazing. Her feet, arms, body position… everything was elegant. Until…..
McKenzie Screamed. (still acting like a girl). The snake must have washed up very soon after she got on the rocks because it was in ALL the portraits. Thank goodness this was a mild mannered snake! 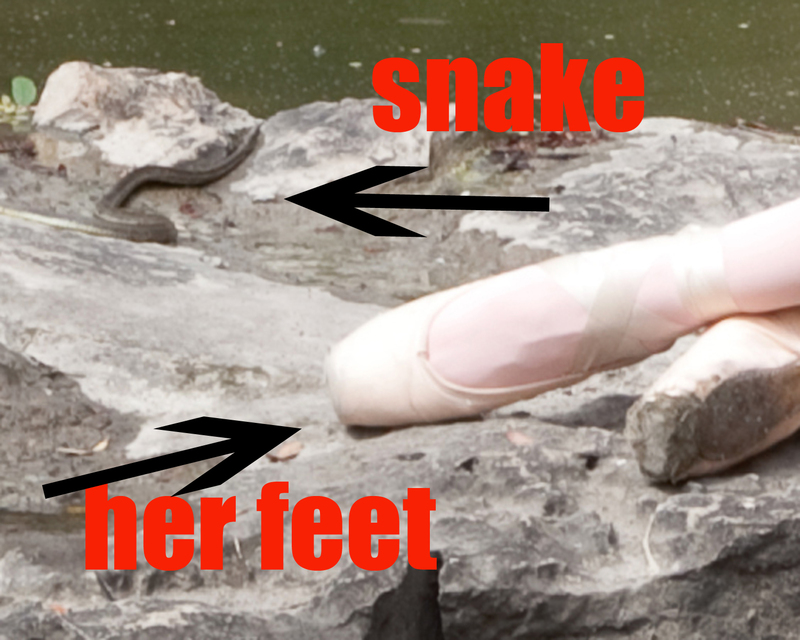 I guess even the snakes want to be close to McKenzie. Thank you Mckenzie for such a fun senior portrait session!